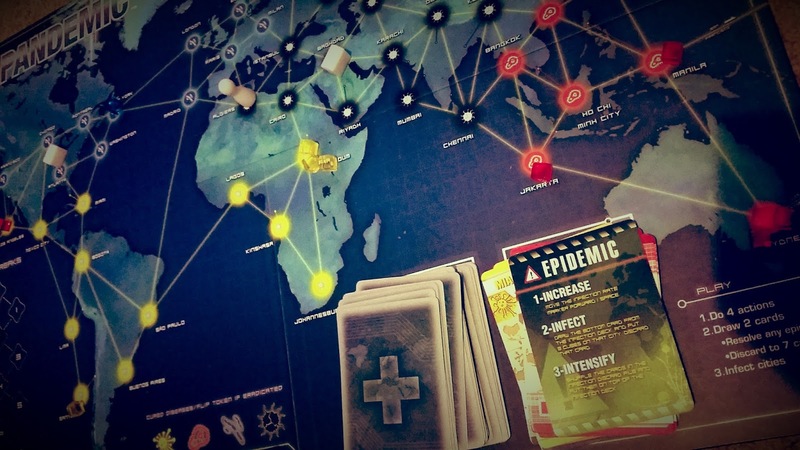 Pandemic is a fast-moving and addictive game that sees you working for the Centre of Disease Control to curb a global outbreak of four nasty and contagious diseases. Taking on specific roles (scientist, researcher, medic, etc) your team work together moving around the World map board curing diseases as infections spreads and the planet races towards extinction! The map is split into four coloured sections each with a number of cities in them. There are four diseases each with a colour that matches the areas of the map. Diseases are represented by cubes, and each of the major cities can hold up to three disease cubes. The game starts with nine of the cities in varying states of contagion. Each turn you can perform four actions which can include moving, removing cubes, building research centres, etc. You can then draw 2 cards from the draw deck which will normally give you cards that match cities by their name and the colour of the area they are found. If you get five cards of the same colour you can cure that disease. At the end of the round you draw from the infection deck and the cities you draw receive more cubes. 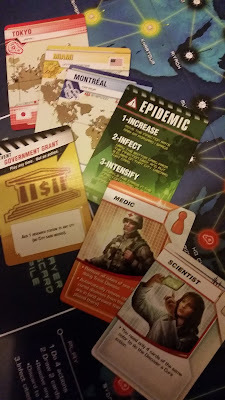 It is basically a case of managing the diseases on the board while anticipating what cities will then become infected. Cure all four diseases and you win! Since the game is entirely co-operative there is no scheming against each other and that's a good thing as when things get fraught you'll rely on your friends. 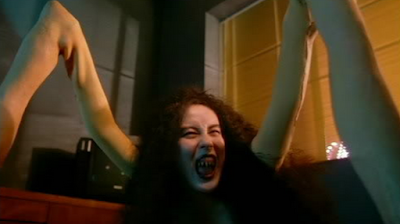 And boy to do things get fraught. Aside from the ongoing infections you have the constant threat of drawing an epidemic card which throws already drawn infection cards back into the infection deck. That means those cities already infected get hit again. Once a city hits three cubes an infection causes an outbreak and the surrounding cities get infected. You'll be collectively shitting bricks as the cubes pile up and since there are more ways to lose than win (running out of coloured cubes, drawing the last card or the outbreak tracker reaching the end all finishes the game in favour of the disease) team strategy is vital. If anything the only arguments that will break out are where people aren't pulling their weight! Counters are traditional plastic pins, the artwork is functional and designed to mimic digital maps and scientific graphs rather than evocative depictions of the end of the World. The board is sturdy, the design clear (the board has the basic rules and areas for decks included on it) and the little coloured cubes are difficult not to play with. In fact, running your fingers through these little piles of plastic is actually quite therapeutic despite them representing hundreds of thousands of human lives lost. Essentially the game pieces are designed with clarity and functionality in mind rather than appealing to collectors. Pandemic is a little more complex then your average family board game but by no means hard work. Once you get your head around the many actions and stages of play you'll find it quick and easy to play through. The game also has various levels of difficulty built in (the harder you want it to be the more epidemic cards you can shuffle into the deck). 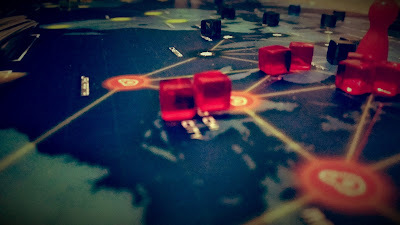 Pandemic is relatively cheap (£20 - £25) for an advanced tabletop game and since the complexity is only moderate it works as a great introductory game. 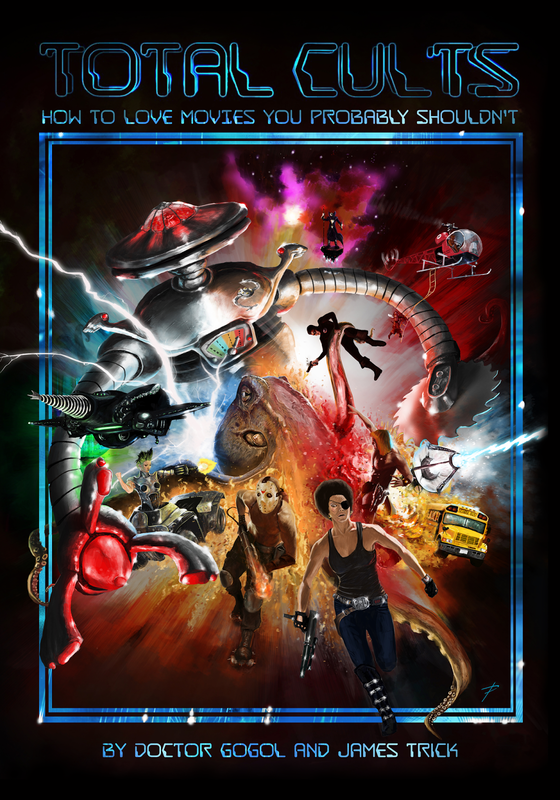 If you want to try before you buy there is an online version that works fantastically with tablets for a fraction of the price. The game is tough to beat and encourages a "let's play one more" mindset for those that really want to crack it. In fact I don't think I've ever sat and played it just once. 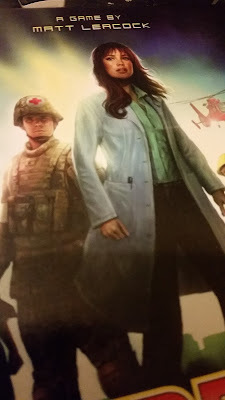 This, the in-built difficulty scale and the numerous expansions (that add extra rules, diseases, a competitive mode and, in the case of Pandemic Legacy, a developing episode-based narrative) this is a game you won't get bored of quickly. Pandemic is a fast-moving, relatively straight forward and endlessly rewarding game and a great introduction into the wider world of tabletop gaming. Watching the World choke and die has never been so much fun.